In 1992, Drew took a design position with renowned architect Arthur Hills. He quickly assumed full management of numerous full-scale projects and became a well-recognized face of the firm and a highly respected golf industry practitioner. He was appointed a full partner of Hills’ firm in 1999 before earning acceptance as a member of the American Society of Golf Course Architects in 2001. During time spanning nearly 19 years, Drew collaborated with Arthur on over 30 new course designs and over 20 major renovations worldwide. In 2010, Drew established his own design practice (JDR), whose primary focus is to assist existing course entities that seek to make improvements to their facilities. As such, JDR is a small, boutique entity that focuses on personal service, direct communication, well-planned Improvement Programs and enduring excellence. Drew builds and maintains strong, lasting relationships with his clientele and strives to address their most pressing needs while providing lasting enjoyment for players. Drew's core philosophy is to design courses that enhance the golf experience and ultimately meet the needs of their users, operators and surrounding environments... to apply practical, “less is more” and traditional design methodologies that are adaptable to any application... to creatively and artfully blend design elements with the most sustainable approaches to maintenance and course presentation... to design golf holes that reveal great beauty while providing options and opportunities for all players... and to inspire imagination, creative shot making and promote memorable and lasting enjoyment of this fine game. 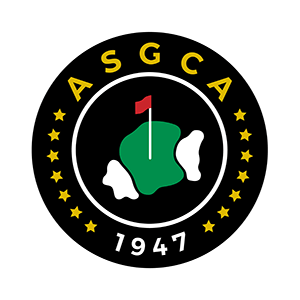 Rogers, ASGCA to renovate courses from Ross & Park, Jr.